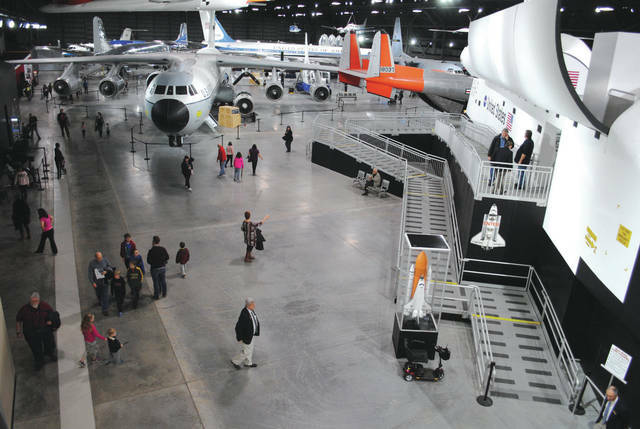 Whitney Vickers | Greene County News The National Museum of the United States Air Force hosted “Plane Talks” Feb. 19 in honor of Presidents Day. Museum attendees had the opportunity to tour the Presidential Gallery in the fourth building with experts on-hand to tell the stories of some of the planes. Visitors additionally had the opportunity to talk through Air Force One. 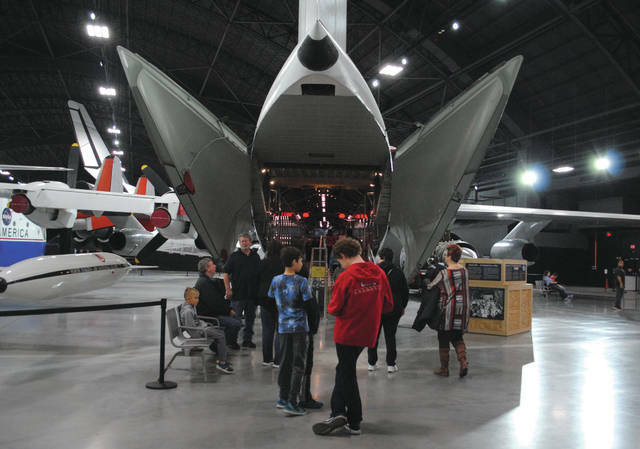 The National Museum of the United States Air Force hosted “Plane Talks” Feb. 19 in honor of Presidents Day. Museum attendees had the opportunity to tour the Presidential Gallery in the fourth building with experts on-hand to tell the stories of some of the planes. https://www.fairborndailyherald.com/wp-content/uploads/sites/50/2018/02/web1_planetalks1.jpgWhitney Vickers | Greene County News The National Museum of the United States Air Force hosted “Plane Talks” Feb. 19 in honor of Presidents Day. Museum attendees had the opportunity to tour the Presidential Gallery in the fourth building with experts on-hand to tell the stories of some of the planes. 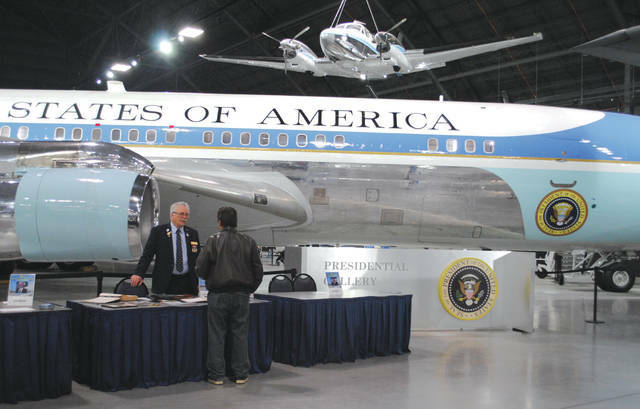 https://www.fairborndailyherald.com/wp-content/uploads/sites/50/2018/02/web1_planetalks4.jpgVisitors additionally had the opportunity to talk through Air Force One. https://www.fairborndailyherald.com/wp-content/uploads/sites/50/2018/02/web1_planetalks2.jpgWhitney Vickers | Greene County News The National Museum of the United States Air Force hosted “Plane Talks” Feb. 19 in honor of Presidents Day. Museum attendees had the opportunity to tour the Presidential Gallery in the fourth building with experts on-hand to tell the stories of some of the planes. https://www.fairborndailyherald.com/wp-content/uploads/sites/50/2018/02/web1_planetalks3.jpgWhitney Vickers | Greene County News The National Museum of the United States Air Force hosted “Plane Talks” Feb. 19 in honor of Presidents Day. 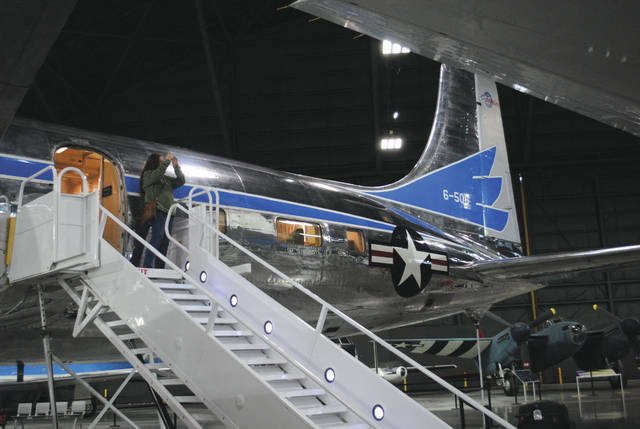 Museum attendees had the opportunity to tour the Presidential Gallery in the fourth building with experts on-hand to tell the stories of some of the planes.